I know, Christmas is long forgotten. And good bloggers published their ’12 Beers Of Christmas’ post well before the decorations came down. Well, not me. 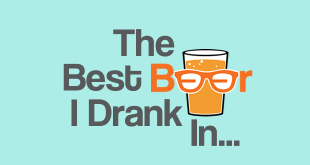 I was too busy having fun and enjoying drinking the beers to write about them. At least I remembered to post them daily on Twitter and Instagram this year! 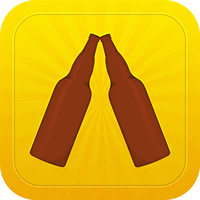 As well as Untappd of course. 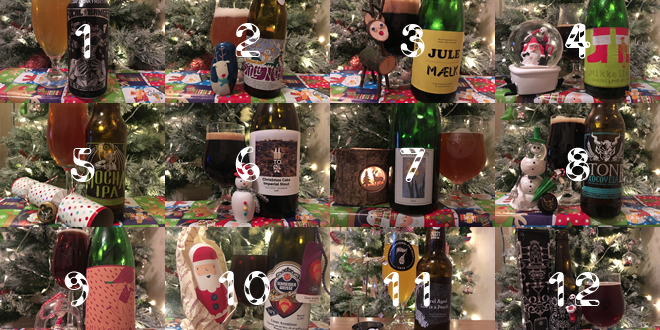 For my ’12 Beers’ this year I went for a mix of some of my favourites from 2016 along with a couple of classics and a sprinkling of festive cheer. A much hyped beer that’s often included in lists of the ‘best IPAs in the world’. One not usually available outside of Vermont, USA. It’s pretty much the archetypal American IPA. A massive piney fresh hop aroma. Beautiful hazy golden colour. Pale malts and bags of citra and mosaic hops. Fruity flavours up front with a piney bitter finish. I tried following their instructions and drinking from the can. I gave up before long though and poured it into a glass. Maybe it tastes every so slightly better from the can, maybe. But the smell is just too good to miss out on. I discovered De Dolle quite late but I’m a huge fan now. Their Oerbier is one of my new favourite beers. 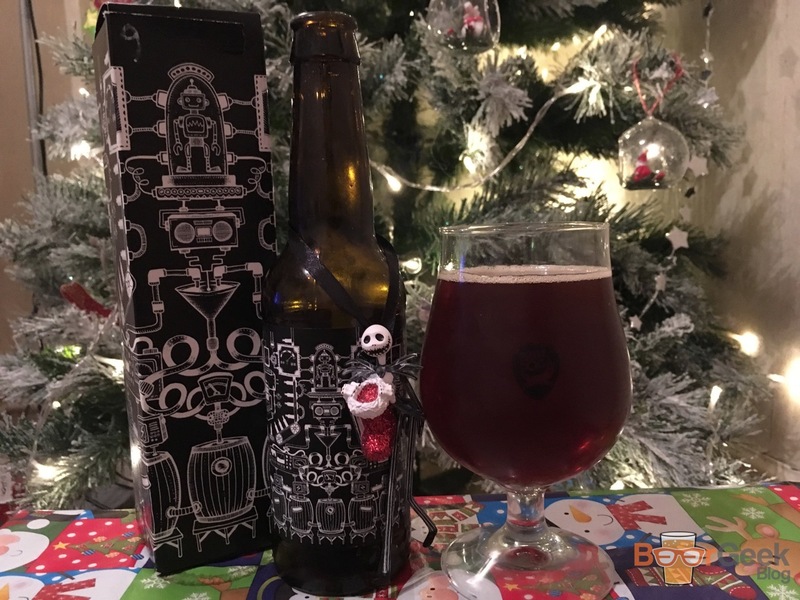 I’d heard great things about their festive offering, Stille Nacht, it didn’t disappoint. 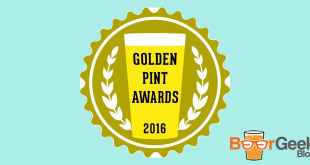 This golden ale is deceptively strong, I was stunned to see it was 12%. It’s typically Belgian, with distinctive yeast flavours along with subtle spices of cloves and cinnamon. There’s lots of candy sugar sweetness which is balanced perfectly by bitter hops. 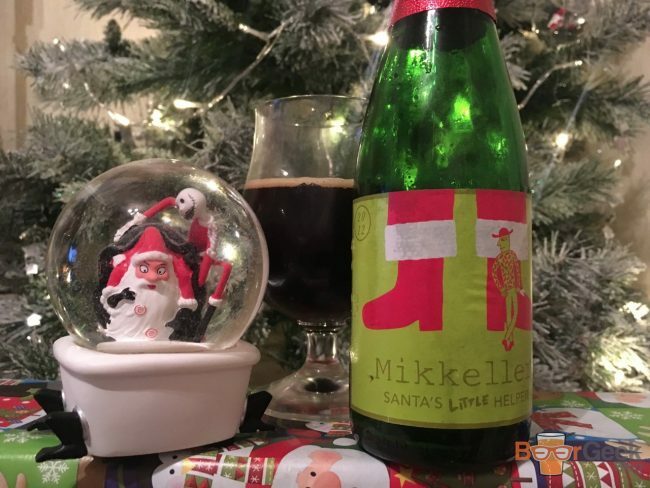 One of my favourite festive beers. A thick rich imperial milk stout from one of my favourite breweries, To Øl. It has amazing body and sweetness from lactose. Complex flavours of chocolate, liquorice and dark fruits with a touch of coffee and smoke. I’d aged this bottle for over a year, since November 2015. Which made it beautifully rounded and quite mellow for such a big beer. 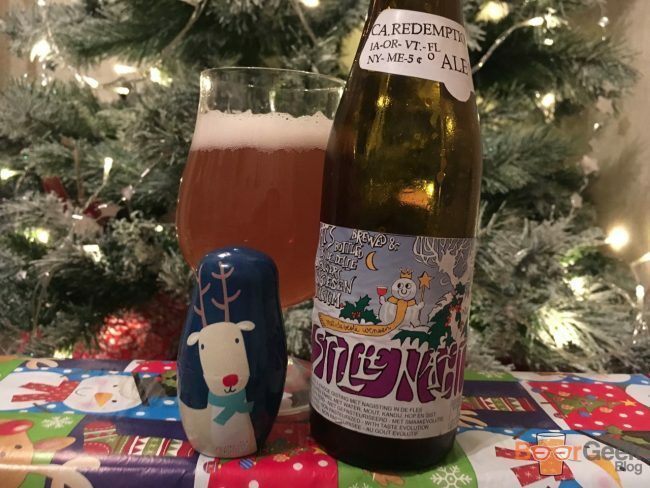 The regular Santa’s Little Helper is a solid strong Belgian ale that has become a bit of a Christmas tradition for me. 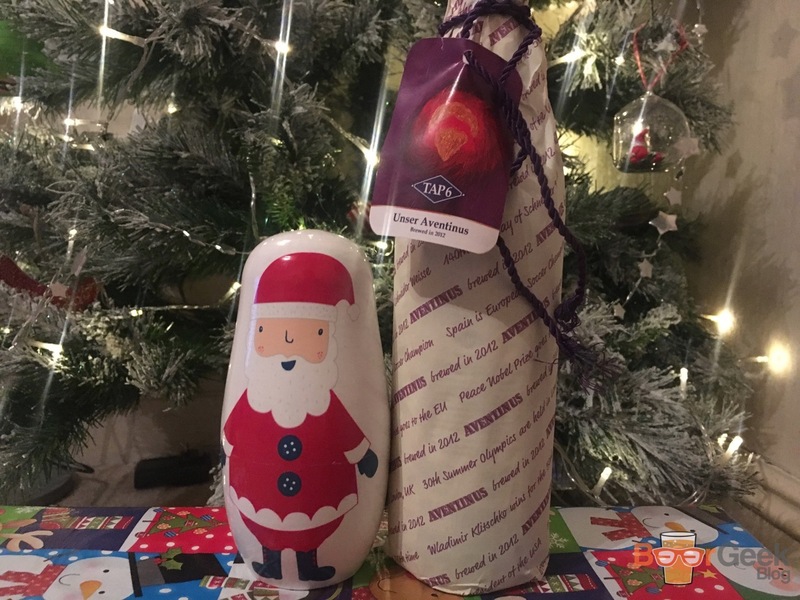 Last Christmas I had the Grand Marnier barrel aged version which was simply stunning. I thought it’d be difficult to top it this year but I reckon this might have done it. A really lovely aroma of chocolate with the slightest hint of wood and tequila. The flavour was much the same with some fruitiness and a bit of smoke joining in. The tequila is subtle but definitely there and works really well. Overall it’s brilliantly well balanced for such a big beer with so much going on. This was one of my favourite beers of the year. In fact it was officially my ‘Best Overseas Bottled Beer‘. It’s one of those oxymoronic beer styles like a ‘white stout’. 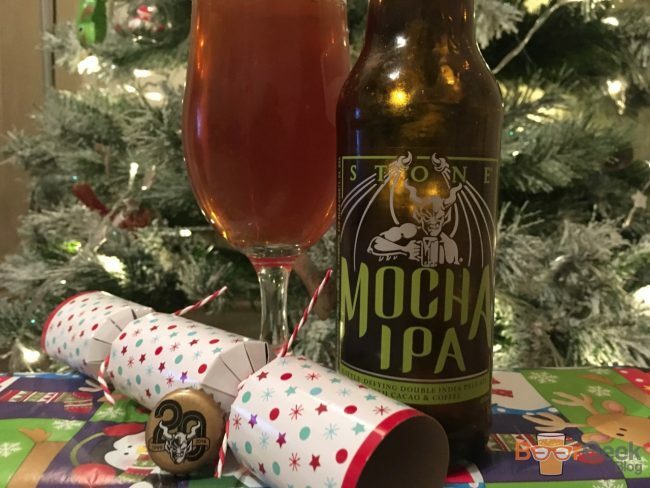 Basically a DIPA with chocolate and coffee! It shouldn’t work but it does. Initially, it has the smell of a traditional West Coast DIPA. Then a tiny bit of coffee comes through as well. The taste is hoppy, piney and resinous but full on milky coffee at the same time. Another big and boozy festive imperial stout from To Øl. This time in collaboration with Manchester’s Cloudwater. It’s so rich and full of flavour; cocoa, caramel and festive spice. They’ve got the levels of spice absolutely bang on, it genuinely tastes like liquid Christmas cake. And it’s another of those that seriously belies its ABV. 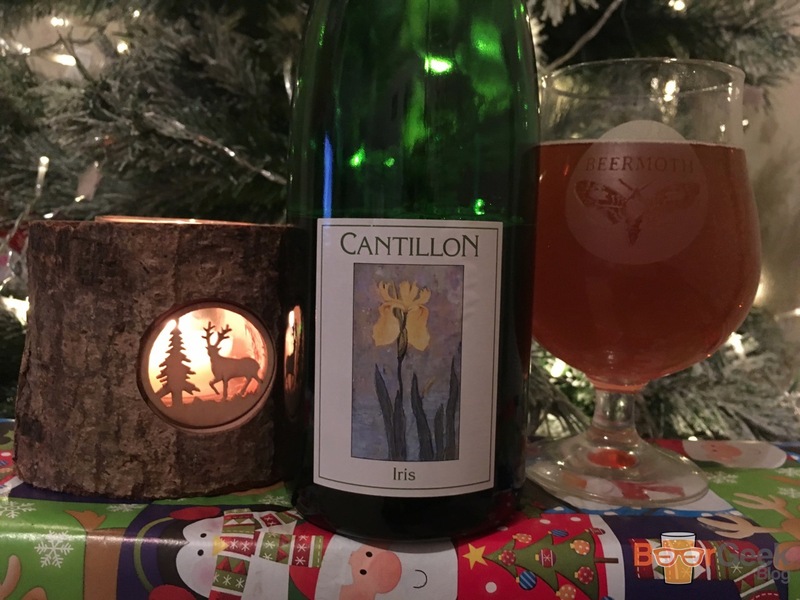 I love Cantillon and Iris is one of my favourites. 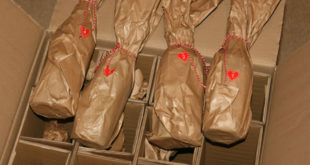 I was lucky enough to try a few different versions earlier in the year including some that were well aged. This one was bottled in April and is the youngest I’ve ever had it. Whilst it’s more complex than some of their fruitier offerings the freshness meant it was less funky than I’m used to. There’s still loads going on though; fruity, floral, tart, acidic and oaky. With a bit of a cider vibe going. You could really taste and smell the fresh hops. I’ve got another bottle with the same date. I had intended to age it for quite a while but I’m thinking I should be drinking it sooner now. 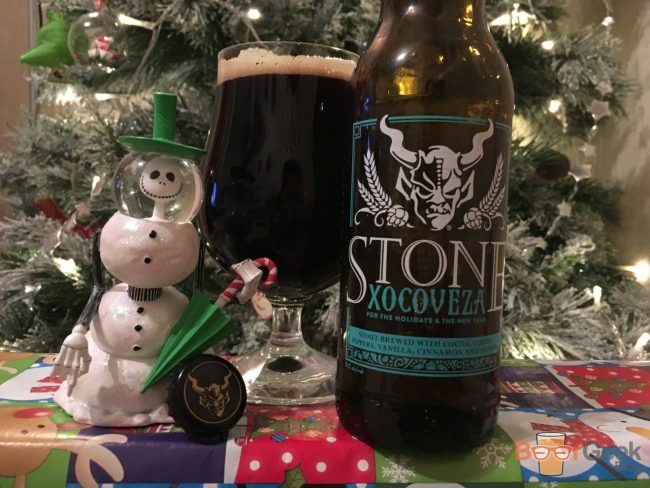 Another unique Stone beer. This one is their take on Mexican hot chocolate. An imperial stout with cocoa, coffee, chilli, vanilla, cinnamon and nutmeg. It’s very dessert like. Smooth and creamy, sweet and really well balanced considering that list of ingredients. 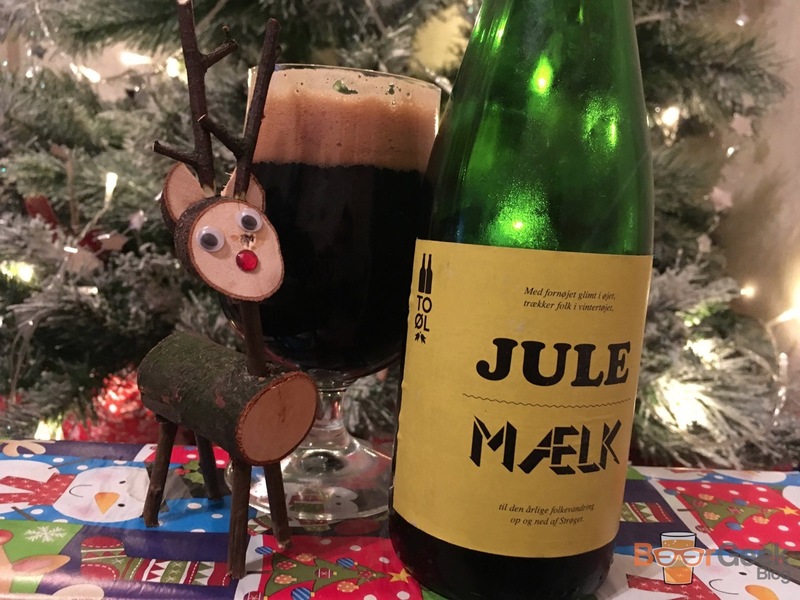 One of the best Christmas beers I’ve ever had and I hope I can get one every year. 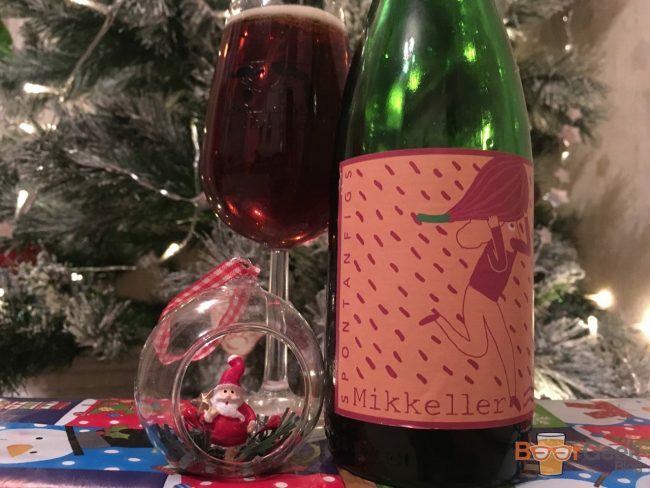 I’m a big Mikkeller fan, especially of their Spontan series. I’ve had many of them, this is one of the best. The flavour isn’t obviously fig but it does taste of lovely sour dark fruits. Sweet and malty, sour and funky. Not a typical Christmas beer but somehow perfect for the time of year. 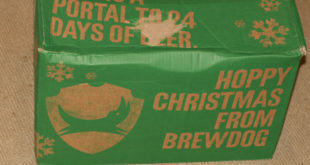 Let’s call it an alternative Christmas beer. 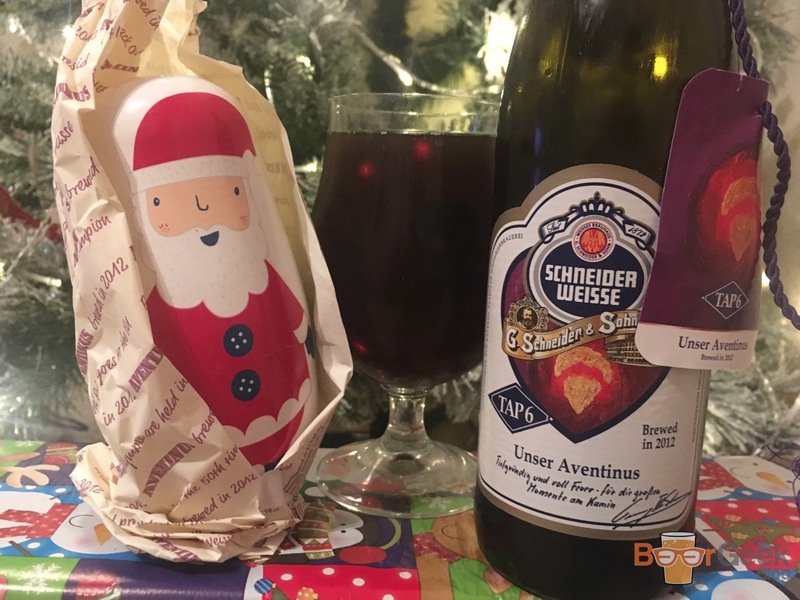 Aventinus (TAP6) is already one of the worlds best wheat beers. 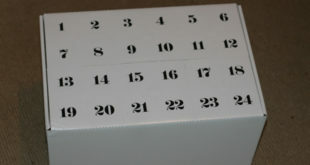 This one was cellared for three years before being sold. Then I kept it for another year. I picked it partly because I love the original. But I have to admit it was also partly because it came wrapped up like a Christmas present. It’s definitely worthy though, in both quality and flavour. It’s much softer and more rounded than the original. 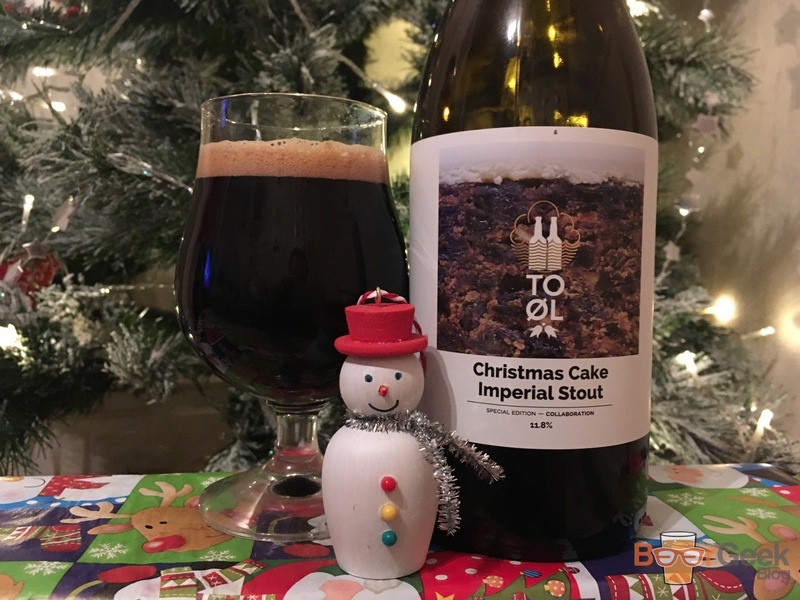 The flavour is all dark fruits and toffee sweetness which is perfect for a winter/Christmas beer. The original version of this beer was a collaboration with Omnipollo. 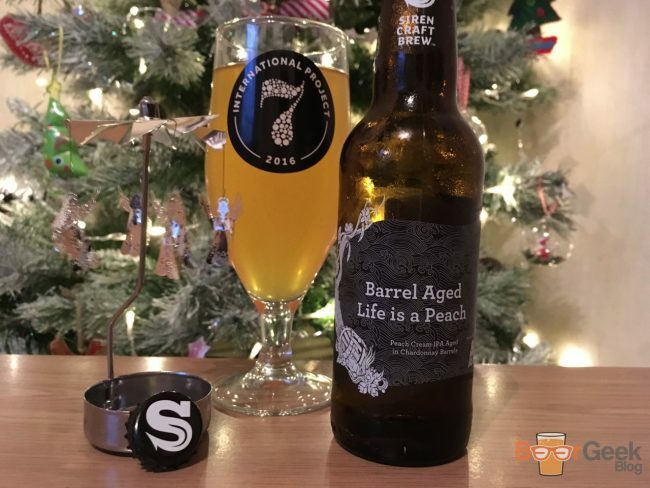 A gorgeous lactose heavy peach IPA. This is the same beer that’s been left in chardonnay barrels with a load of Brett for a year. It really doesn’t taste like an IPA anymore. For me, it tastes even better! Peaches are much more prominent. It’s sour with some vanilla and huge acidic white wine flavours at the end. So we end on a high (not that there were any lows) with an old school BrewDog classic. Mixtape 8 was released in 2013. A blend of a hoppy up Belgian Tripel and a big DIPA. Both beers were aged in oak separately and then together in single grain whisky barrels for two years! As you can imagine the flavours are pretty complex and intense. But at the same time beautifully melded together. It’s sweet and boozy with notes of caramel and whisky. The best way I can describe it is whisky infused barley wine.